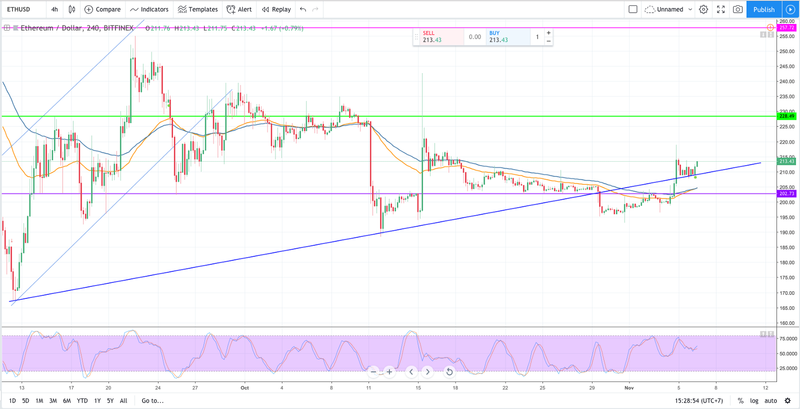 After a long time moving in a narrow range, Ethereum has given encouraging sign for better outlook on chart H4 when the price succeeded in breaking through the trendline last weekend. ETHUSD recorded the highest price of the week at $218. 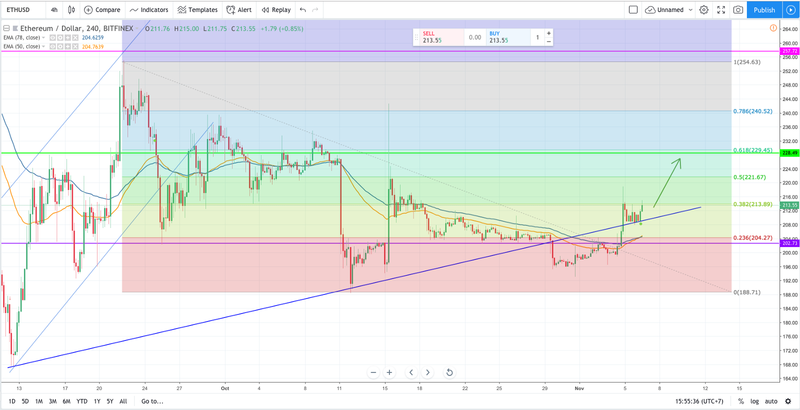 This trendline now becomes the support for Ethereum as it is gathering engine for further rising right above the trendline. Stochastic oscillator has just stepped in the bullish area at around 60 point so investors should wait for this fragile uptrend to be reinforced by fundamental factors. Currently, ETHUSD is traded at $213.54 by 15:58 GMT+7 struggling above the Fibonacci 38.2 ($213). If the pair manages to close high above this threshold today at around $215, the upward trend is confirmed. 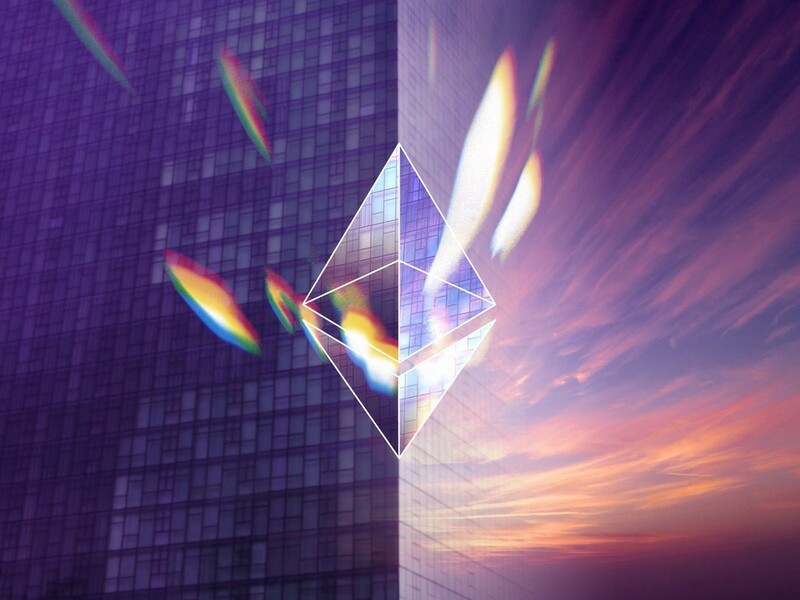 Following the rising waves, Ethereum is predicted to test stronger resistance at Fibonacci 0.5 ($221) and 61.8 ($229) in the near future. This is not an investment adivce. Please understand the market that you are diving in and only investment at your acceptable risks.